A cool little skull complete with cross swords! Show that you arrrrrgh a big pirate fan! We also sell charm chains in any length you want, please check out our shop at www.foxibelles.com and look under the "Chains and Cords" section. 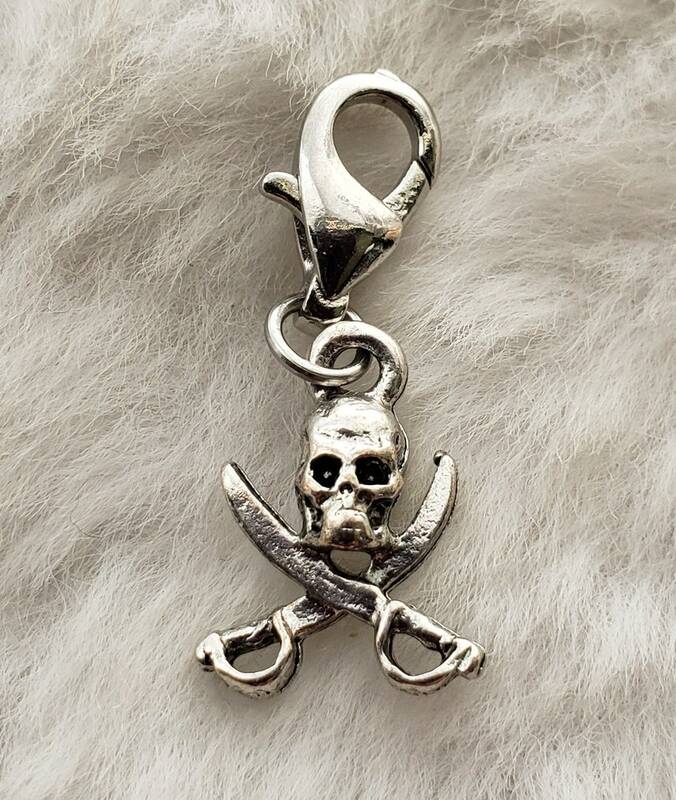 Charm is pewter; lobster clasp and findings are made of lead-free, nickel-free Tibetan silver. These are great mascot charms perfect for cheerleading squads and sports teams. Forget the trophy for your participants, make them a necklace, bracelet or key chain! Message me for pricing on team incentives!